July 17, 2015 - So far this month, the boy has made it to McDonald's once to get a Minion toy, but I suspect we will be going several more times as well as checking eBay to get a whole set of their toys. 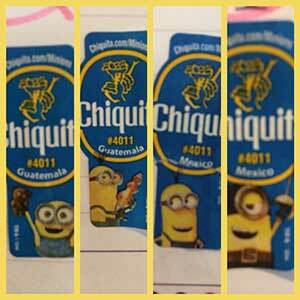 The Minions are everywhere, once again including on Chiquita bananas. According to the MinionsLoveBananas site set up for a movie tie-in contest, there are 32 different stickers. If you are collecting those, you better like bananas as much as the Minions do! 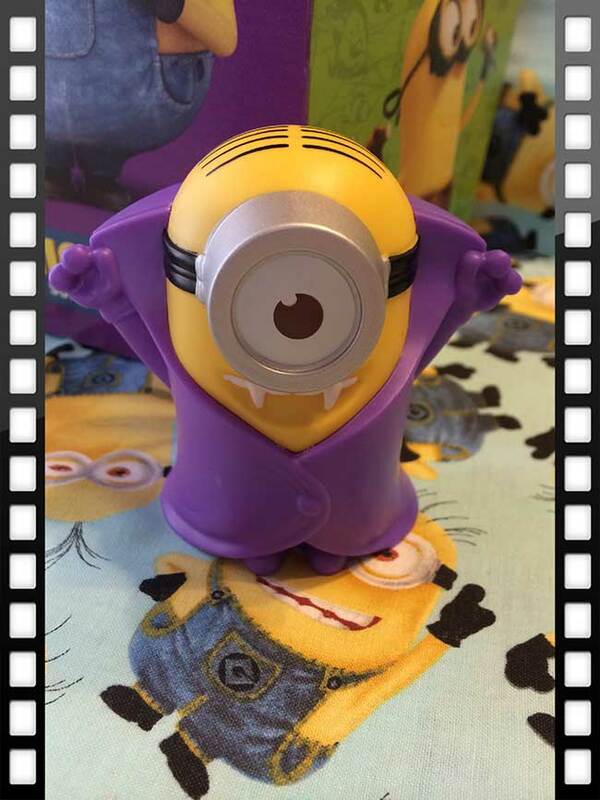 - McDonald's has twelve different Minions movie toys in their Happy Meals. The next promotion shown is a joint promotion of Monster High and Batman Unlimited. The site also has a two-page coloring/activity sheet of Minions (link goes to a .pdf file). - The Chick-fil-A site shows Secret Agent Cow gadgets as the goodies in their Kid's Meals. The under 3 toy is a board book. - Sonic has Teen Titans Go toys that they are promoting in their Wacky Pack meals. We might need to get a set of these on eBay along with the Minions! Don't forget to print the coloring page (.pdf file). - The Captain D's web site shows Curious George 3: Back to the Jungle as the current promo for their kids meals. - Burger King's kids meal web site features Scooby-Doo toys. There are eight different toys: a wind-up van and then seven toys that connect to form a Haunted Mansion. hey thats great...it will definitely increase the enjoy while having some yummy snacks...kudos! !